way to produce guaranteed Halal goods. An independent international accredited Halal certification body* and has been ranked as one of the first trustable accredited Halal certification bodies established in Europe. Since our establishment in 1983 and until now, we are among the European leaders for providing international Halal certification. From our locations in Netherland, France, Germany, and Austria, we serve the food industry with superior service by providing excellent Halal certification services for the food and beverage industry. Our target customers are multinational firms as well as small and medium enterprises that deal in the food and beverage industry and aim to expand their businesses by developing or entering in the steadily growing Halal market. Our international accreditation and certification provides recognition to our customers’ products as they are easily accepted as Halal nearly worldwide. 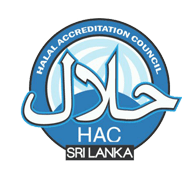 We are accredited and recognized by almost all Halal authorities and accreditation bodies over the globe like MUI Indonesia, Jakim Malaysia, GAC GCC incl. UAE, HAC Sri Lanka and many more. 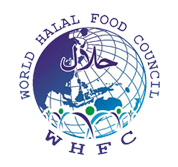 Dr. A.M Alchaman, the founder of HQC, is currently the president of WHFC Europe, world Halal Food Council, which is the main elite organization under which most of the international accredited Halal certification bodies work around the globe. 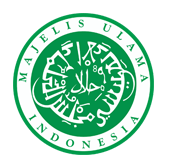 We offer you a unique experience about Halal certification. We are unique like our customers and their products. Our customers entrust us with their most valuable possession that is their brand, recipe, and production process. We honour this trust and deal with it in 100% confidentially, professionality and respect; our specialists are the experienced people, and they know exactly how to serve our customers efficiently and effectively. We pride ourselves in having the most in-depth knowledge about the Halal certification process, nearly all international accreditation and an extensive network of contacts that includes nearly all international Halal authorities and certification bodies worldwide. We are proudly the one of very few Halal certification body based in Austria and in Europe with nearly all international Halal accreditation* including MUI Indonesia, Jakim Malaysia, GAC GCC incl. UAE, HAC Sri Lanka, CICOT Thailand and much more. Our certificate helps you in getting international recognition that is widely accepted nearly worldwide while the certification by other bodies is only accepted in limited countries. We help you save time and money by offering quick and immediate service. Our vast knowledge and experience helps in providing quick and hassle free service so that you successfully operate in the market. 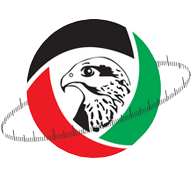 Our experienced staff makes it easy for you to produce according to the Halal standards that are expected by the Muslim communities around the world. 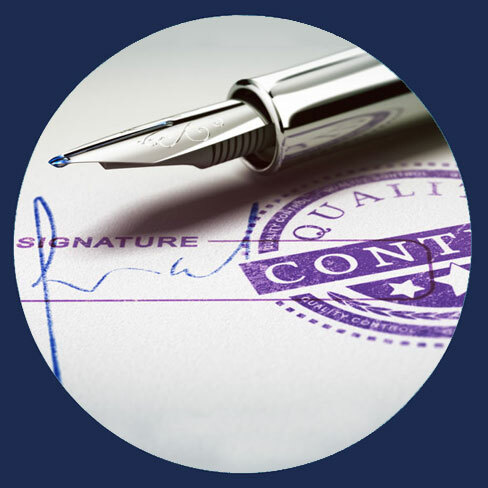 Our team consists of experts on Islamic rules, Shariaa, food industry and quality management. Our experience that we have gained over the last 30 years allows us to better understand all the halal requirements that are needed by the industry and are a concern for the Muslims consumer. We benefit our customers by providing them a top-level training service. Our training program gives our customers the knowledge needed to be an expert on the Halal arena. We offer Training as well as explainer videos that assist our customers to understanding different matters related to halal certification. We have the professionals who understand your needs and provide service accordingly. We have more than 30 years of experience that gives us a benefit over other certification bodies in Europe. We respect your time and money, which is why we use the latest software technology to allow you to upload and save information, documents, and certificates in just a couple of clicks. We have an international and diverse team that speaks English, German, Italian, French, Dutch, Turkish and Arabic helping you in breaking language barriers and making communication easier. We operate in different locations around the world. Europe is like home to us. We have our head office in Den Haag, Netherlands and other branches and offices in France, Germany and Austria. HQC has a standardized certification process with defined SOPs for every certification step starting from initial application until issuing a Halal certificate. Our standardized processes and SOPs have simplified and facilitated the industry to understand and implement the Halal requirements professionally in the shortest possible time. Halal Certification Bodies stem from the Muslim community and the Islamic governments wanting to know that the consumers are getting Halal products, which follow the norms of the Islamic guidelines. These international implemented quality standards help in easily implementing the Halal standards in the industry and help in making the Halal guidelines comparable with other standards that are normally known and are implemented by the industry. Most of the people working in the food industry are concerned about the Halal and Haram and want to make sure their customers are getting premium Halal products. By keeping this in mind, we offer the industry several training programs for the most important issues that revolve around Haram and Halal. Training develops skills that increase the team’s productivity and the quality of the work of our customers. Our training helps in increasing the knowledge and awareness of the staff, increasing the retention ratio. Our timely training helps in mitigating the risk in the face of ever-changing legislations and upcoming market challenges. Save money and time: Our in-house training option helps in reducing the 20 to 60% cost as we will come to your desired location to give the training to the desired candidates. Workshop being held at your convenience and the location of your choice, help in saving the traveling expenses, and the time the employees have to leave the office. Get focused content: Our training helps in choosing existing course topics; combine modules for a tailored approach; or let us customise your course. Our training can target current issues that are affecting your organization and industry. We always ensure the confidentiality of your organization’s data. Engage your team members: Our training focuses on the involvement of staff by engaging them in workshops, case studies, live demonstrations, and role-playing to address real-world solutions. Training helps in delivering the same message to everyone and in learning the same methods that overall brings uniformity in understanding concepts. Learn from the best: Our all trainers are experts in their fields with international experience in the fields and provide the quality service. Our explainer video training list includes several topics related to the concept of Halal. Our customers can select the topic that seems interesting to them and meets their expectations. Why should you choose the Explainer video training option? Save money and time: You can access the explainer videos immediately whenever you like. Videos are provided immediately after the order and can be used multiple times to reduce the costs. Learn from the best: All videos are created by the experts with long international experience in the related field. Please feel free to contact us anytime about your needs and ideas for the training program, we are very flexible on making tailored training programs according to your needs. We guarantee Muslim consumers the 100% Halal products by guiding the industry transparently to the safest way to produce guaranteed Halal goods. Our potential target customers are Muslims and European industry who want 100% Halal products. They are concerned about it the most as they think the products that are labelled as Halal should be 100% Halal. Our certification would target these customers and will meet their need of providing correct trustable certification to Halal products. In 1983, Halal certification was started by Mr. Chaman for meat products when he recognized the importance of exporting it to Islamic countries. He realized the importance of the Halal certification and established the first “Halal office” in Europe. Initially, the certification was started for meat and slaughtering, and in the Netherland, it was considered as one of the most important sources for Halal meat. Dr. Chaman started the certification activities as a pioneer in Europe, as he realized that Halal sector is continuously developing, and will continue to do so in the future, so there was a need for the certification. This realization led to the development of his Halal certification service. He recognized that Halal certification is needed for both Muslims and Non-Muslims. While one hand there is a concern of the Muslims about eating Halal and a need for a trustable guarantee that what they are eating is indeed Halal, on the other hand, there is a need to inform European food industry about the standards of Halal products. With competent partners, he established an understandable Halal guideline for the food industry in Europe and on the same time he began to build a transparently auditing and monitoring system. Today after more than 30 years, everyone is aware of the importance of Halal certification in Europe for Muslims countries, to which the products are exported, as well as for the Muslim communities in Europe. 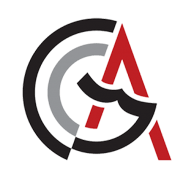 Our skilled and experienced personnel that understands Halal standards and the needs of the industry is one of our most important assets, which brings valuable benefits for our customers. Our team with extensive know-how and international experience provides superior services to our customers. Our Customers are our power and driving force to perfection: We are committed to providing best service to our customers, Muslim consumers, and the industry. Our personnel are our capital: We are committed to providing top personnel training and great working environment to enable them to feel great and confident so that your consumers can be sure they are getting premium Halal products. Our service is our leading edge: We believe in thinking out of the box and focusing on the future by providing the best services to our personnel and customers by using all needed tools to experience Halal certification on the top level. Our target is the next level: We have goals, and we always want to excel in them by doing the best. Our next target is always the next level, as it keeps us moving and helps in becoming the best. Our age: We live in a time that is always changing and gives new opportunities and possibilities; we are optimistic towards changing the environment and want to use all these possibilities in the best way to improve our service level. This is only to provide you with a basic overview of the meaning of Halal and Haram in Islam. In the modern life and modern food industry, the definition of Halal and Haram becoming increasingly more important. This is a very sensitive topic, and Islam provides the exact details that should be followed by Muslims and food and beverage industry producing Halal goods. “Subjugation, to keep to the prohibitions and permitted without restraint, to serve ALLAH only sincerely, to believe in what He tells us and to have firm faith in Him.”Muslims voluntarily subordinate themselves to the standard code of ALLAH (ta’ala) as their Creator, and they surrender and act according to His rules that can be defined as Islam.Islam is a way of life that encompasses and regulates all areas of human existence and therefore affects all areas of life. Muslims’ observance of the halal norms is, therefore, compulsory not only in the well-known dietary restrictions (pork and alcohol banning) but also in clothing, social, education, and in economy and finance (contracting, banking, insurance, Etc.) as well as in all other daily life works. It is strictly forbidden for Muslims to declare halal as a Haram or to declare Haram as a halal. The Islamic philosophy of Halal and Haram is based on the premise that man as a rational creature is endowed with a free will and therefore has to bear responsibility for his actions in the world and the hereafter. 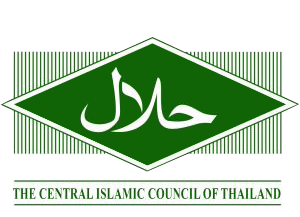 The individual approach to responsibility is reflected, among other things, in the conscious and voluntary observance of the standard code for Halal and Haram. As a concept of Islamologie, Halal includes all things and actions which, from the Islamic point of view, are permitted and Islam-conform. For the observance of the halal standards, ALLAH (ta’ala) reward is expected both in this world and the hereafter. Between the Halal and Haram, there is a grey zone, which is called Makruh. According to Islamic terminology of Makruh (linguistic: frowned-upon, unwanted), it encompasses all things that are not expressly forbidden but tend towards Haram. It is advisable for the Muslims to avoid these grazers as a precaution. Opposite to Halal is Haram according to Islamic Schari’a, all things, and actions that Islam has forbidden for Muslims. Meat from swine – pork, ham, gammon, bacon, etc. Pork-based products and by-products – sausages, gelatine, etc. Animals killed in the name of anyone other than Allah. The market for Halal food is continuously expanding. From the 1960s onwards, as immigrant Muslim populations began to settle in the West and due to globalization, the demand for halal food and specifically meat increased. The 1990s saw the emergence of ‘Muslim consumers’ mindful of that what they want to eat. Specialist Butchers began to develop locally, and then the product range was diversified and globalized within the agri-food business. On the other hand, many Islamic countries being the importer for food from non-Muslim countries were also the concern to produce Halal food. Therefore, there was a demand for Halal standards and Halal certification that can assure the Muslims that what they are eating is Halal. 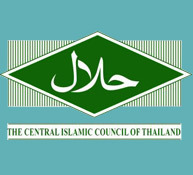 Halal became a commercial quality label in the worldwide market. After that governmental Islamic authorities and departments began to establish Halal Standards and guidelines. 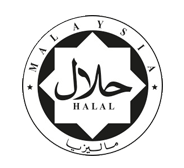 Some Islamic authorities, like JAKIM; MUI; MUIS and MOEW established standards and system and starting to recognize Halal certification bodies worldwide so they could to monitor and audit the food industry. This guaranteed the implementation of the Halal standards and guidelines and made sure that the exported goods are Halal. Therefore, it can be said that the birth of Halal standards and Halal certification was a logical conclusion because of the demand of Halal goods in Europe and worldwide. Rapid growth and interest in halal food have captured significant attention across the food industry. According to the World Halal Forum, the global halal food and beverage trade is currently estimated to be around USD 1.4 trillion annually (Farouk, 2013). It has been reported that the global halal market is currently worth 16% of the entire global food industry and would account for 20% of the global food product trade in the near future with Asia, Africa, and Europe accounting for 63%, 24%, and 10% respectively (in der Spiegel et al., 2012). A growing Muslim population, as well as growing economic development and disposable income in Muslim countries, are the main drivers behind the growth of halal food (in Farouk, 2013). Worldwide, the number of Muslims has been calculated as 1.62 billion, representing 23.4% of an estimated 2010 world population of 6.9 billion. Europe’s Muslim population is currently estimated at 44.1 million, ca. 2.7% of its total population growing at a rate of 1.8% per year (in Van der Spiegel et al., 2012). Numerous survey-type studies have shown that 75% of Muslims living in the US and 84% of Muslims in France always eat halal meat. Apart from the religious value, consumer motives behind halal food arise from some general guidelines in Islam: to preserve life, to safeguard future generations and to maintain self-respect and integrity. Health, respect for animal welfare and a degree of acculturation have also been noted as important drivers (in Bonne and Verbeke, 2008).